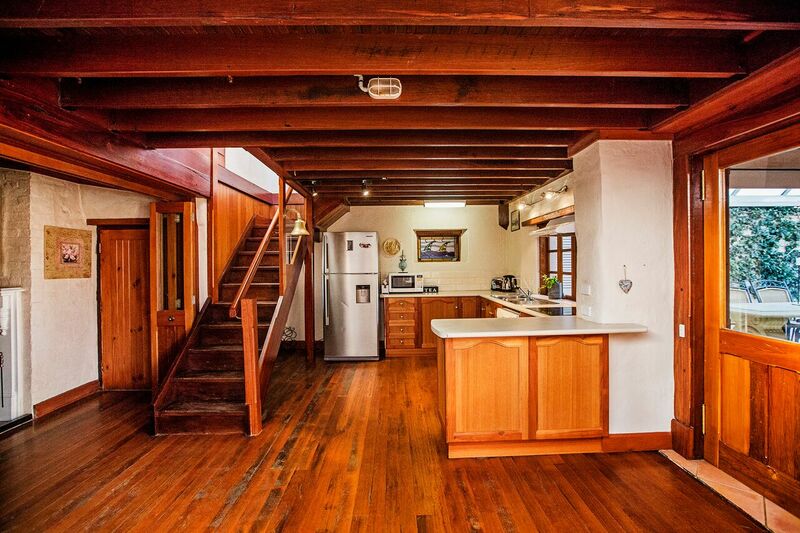 Jackling Cottage is situated in “Little Scotland” the historical centre of the Riverport of Goolwa. 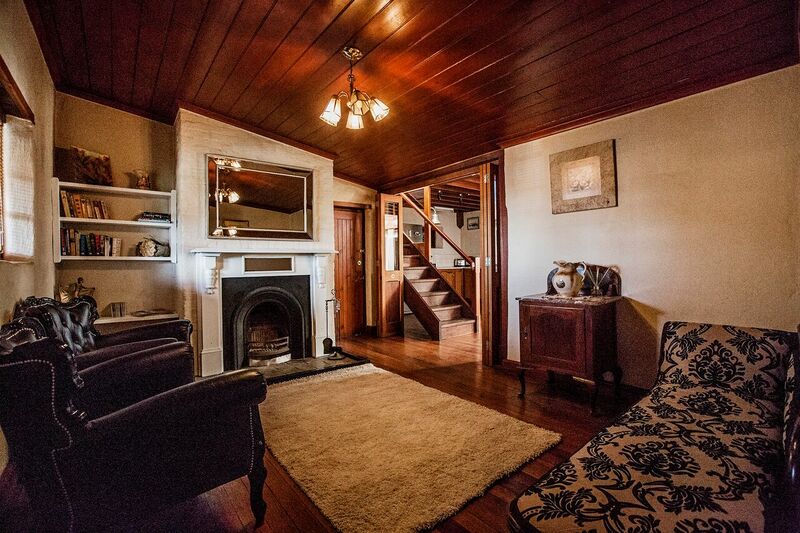 Jackling Cottage is situated in “Little Scotland” the historical centre of the Riverport of Goolwa. Jackling Cottage is named after William Jackling, he lived and worked in Goolwa as a lime burner for the construction of buildings and houses in the Goolwa Area. Built in the 1860's this stunning stone cottage will take your breath away. Walking through this divine cottage you will be mesmerised by the most beautiful indoor / outdoor atrium, the most romantic place for entertaining, simply stunning. Surrounded by stone walls and timber window, the curved roof is a real feature, a perfect place for weekend gatherings. The cottage has two bedrooms with one queen size bed downstairs and one king size bed upstairs. The king bedroom can be made into a twin room if needed. There is a fully equipped kitchen that opens to the unique atrium style dining room, a fantastic all weather outdoor living / entertaining area and a modern bathroom with spa bath. Other features include a formal lounge to sit and read in front of the open wood fire and a second living area to watch TV. Off street parking is provided for 2 cars. Extra adult $85/night, child $50/night. If the Visitor cancels their booking for Product less than 30 days and greater than 14 days prior to the first date on which Product was due to be supplied. AVS shall retain 12% of the total price of the Product and refund to the Visitor the balance of monies paid in advance by the Visitor. If the Visitor cancels their booking for Product less than 14 days prior to the first date on which Product was due to be supplied. AVS shall retain the amount of its commission (12%) and shall pay the balance of money held to the Operator. The Operator agrees that if following a cancellation it secures a new booking for the Product for part or all of the cancelled period it shall refund to the original Visitor the amount paid to AVS less a reasonable amount of costs or losses sustained by the Operator as a consequence of cancellation. Once a sale has taken place AVS accepts no responsibility for a cancellation or double booking.